I worked feverishly to get this done for the fair and I almost made it, but then life happened. Oh well! I can enter it next year. 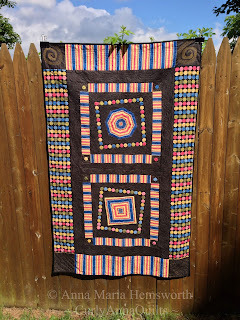 I am so very excited it's done and I'm able to share it here. I don't want to over do it with the pictures so I'm just including 3. I'll add some detail pictures later in the week with some insight into the decision making process. 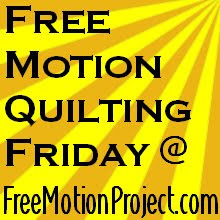 The entire quilt was completed with free motion quilting. 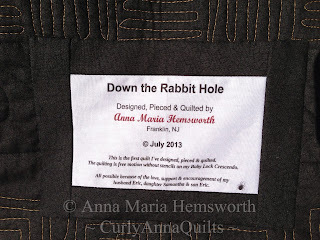 Introducing...Down the Rabbit Hole! See if you can find the hidden pics. Hubby and I decided that the view from our backyard looks oddly fake - a little too picture perfect. We've also decided the beautiful view of the sky is one of the reasons our little house on the hill is so awesome. 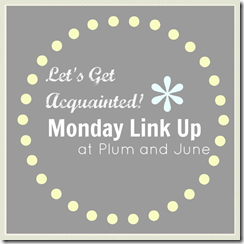 Make sure you stop in during the week. In addition to a little more Down the Rabbit Hole, I'll be sharing pictures from Quilt Odyssey in Hershey, PA last weekend. Congratulations! 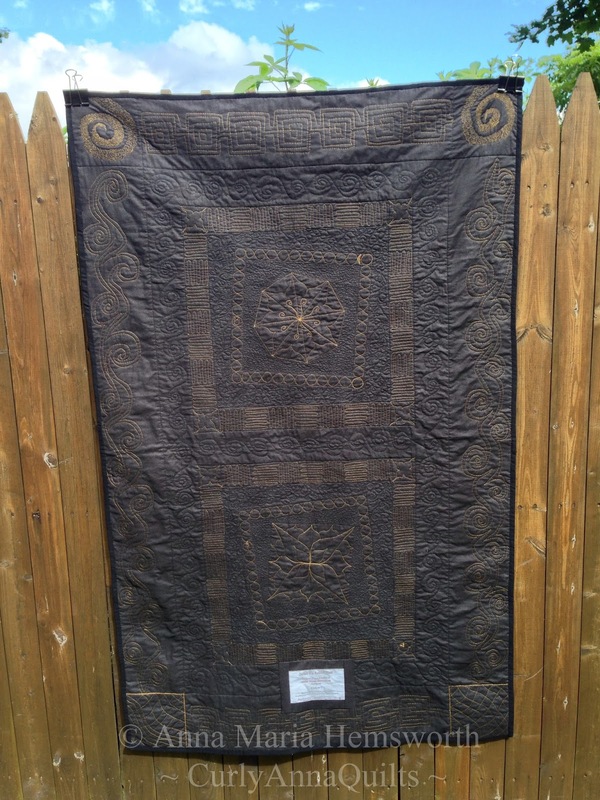 The quilting is lovely and it is a most excellent finish! Thank you! 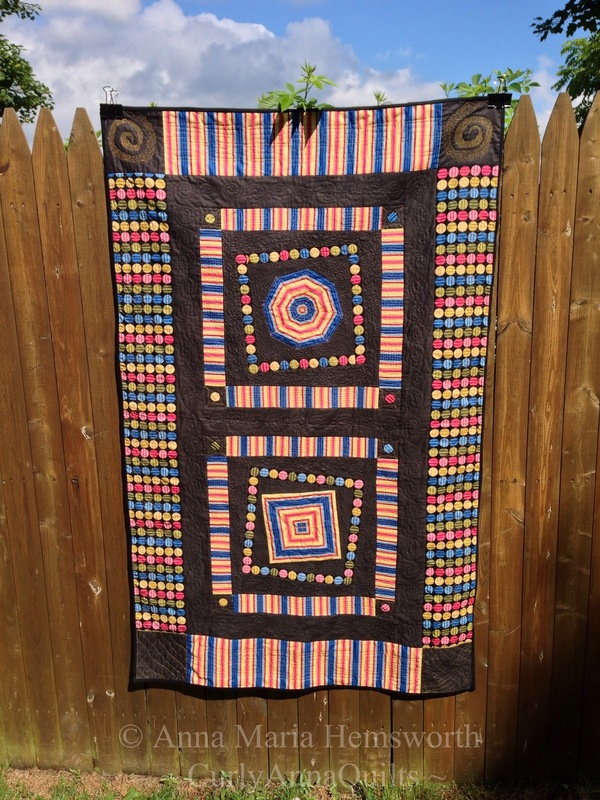 This was a labor of love for me with each stitch more exciting than the previous.